Carbon film resistors. A resistor is a passive component used to control current in a circuit. The coloured bands on the resistors represent voltage and tolerance. 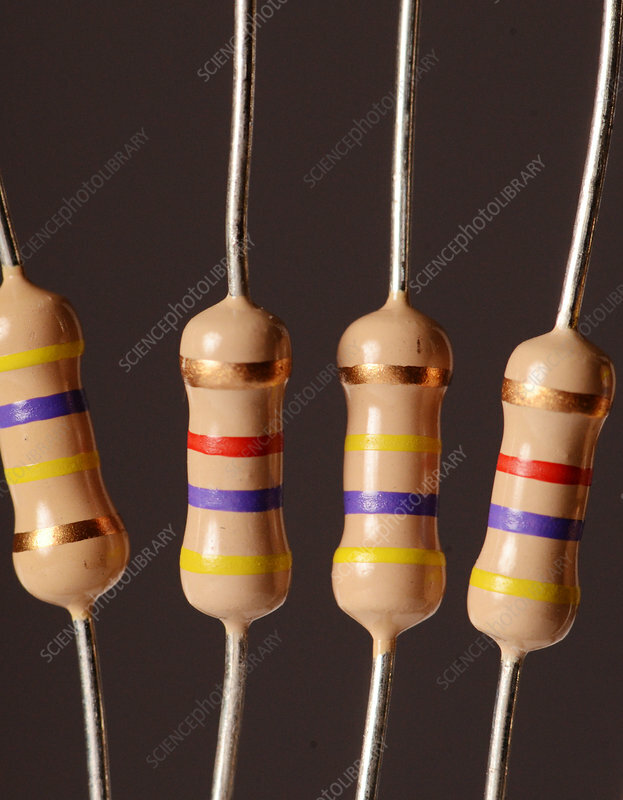 Each colour stands for a number: three bands show the resistor's value in ohms, and the fourth shows its tolerance.